Teach a Man How to Fish (Review 1) “Teach a player a series of opening moves, and you enable him to play well in one specific position. Teach him why the moves are played, and you enable him to play well in lots of positions”. (Steve Giddins in ‘How to build your chess opening repertoire page 8). This quote from Giddins will spearhead a series of reviews on Sam Collin’s DVD series on pawn structures Know the Terrain. In Know the Terrain volume 5” The Philidor Structure” IM Sam Collins explains the strategic/tactical ideas behind black central pawn formation e5-d6 versus e4-d4 (without a pawn on c4). The core of this DVD are twenty games from top class players. The average rating from the players is an impressive 2675 (white) and 2673 (black). The only game that shows a significant rating difference between the players is game 6 Davies (2136) vs Adams (2699). The Philidor structure is associated with a static, strong point dark square defense. In this DVD Collin describes how the Philidor structure can generate dynamic middle game positions starting from apparently unrelated openings. For example, openings such as the Sicilian, the Pirc and the Ruy Lopez (particularly the Breyer variation) give black the chance to reach complex and dynamic Philidor structures. The potential buyer needs to be aware that the 20 model games do not contain a single Philidor opening in the traditional sense following the move sequence 1. e4 d6 2.d4 Nf6 3.Nc3 with Nbd7 or e5 to follow and a pawn on c6 (ECO code C41) In this DVD the author systematically shows why The Phlidor structure appeals to dynamic oriented players against the “Spanish torture”. Collins explains in detail how black can fight the iron grip of the Ruy Lopez with active piece play. A key factor for black to play the Philidor structure is to concede a structural weakness to obtain dynamic piece play. How the second player can do that? It requires some counter intuitive decisions and a good dose of positional evaluation. The author does a great job walking the audience through sophisticate positional evaluations. The first part of the DVD starts with the symmetrical structures after dxe5 and the dangers beneath a “considered drawish structure”. A thematic knight sac on d4 woke up white in the already cited game Davies-Adams. Next the DVD cover more complex structures and ends with the discussion of a very dynamic structure, e4 vs isolated black pawn on d6. What is under the hood? In addition to the model games this DVD also has a supplemental database with 782 games distributed as follows 583 Philidor games (C41), 145 Ruy Lopez (C60,65 ,77 ,78 ,88, 95,96 ,97), 13 Italian games and various openings (40).Out of the 782 games 69 games are annotated by several masters like Huzman (17 games), Ftacnick (4 games) and Marin (3 games).The DVD What I like about this DVD? First, the club player gets around 100 games to keep working on his own (69 annotated games plus 21 games with some sort of annotation). Second, Collins does a good job annotating a single game in a small chuck of time (around 15 minutes) which allows busy players to go over the material during work breaks or commuting. Third, Collin’s explanations are systematic, clear and to the point. Collin’s style remind me of my professors in graduate school (sharp lectures with state of the art science, solid references with not may be this or may be that). Who will benefit the most from this DVD? Players that use the Breyer variation against the Ruy Lopez. The Breyer is the horsepower in two popular repertoire books (Kaufman repertoire book in Black and White and Marin repertoire book beating the open games). Philidor players (C41) looking to play more dynamic positions/structures but stay in “Philidor territory. Players with an interest in the e5-d6 strong point structure (without a pawn on c4) or willing to know more about Carlsen’s pet line against the Ruy Lopez. 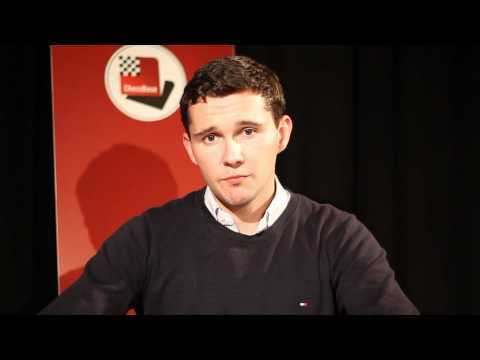 Sam Collins continues with his Chessbase DVD series on pawn structures with Know the Terrain Vol 4 The Advance French Structure. The DVD covers the pawn distribution with white pawns on e5 and d4 versus black pawn on e6 and d5 with an open c file. The author’s main argument is that the study of the French structure allows the audience to understand how to play several important openings such as the Slav, Caro Kan, French, Catalan, Queens Indian and Sicilian Moscow variation. Collins dissects the plans and tactic associated with the advance French structure in twenty short videos that covers 26 master games (some clips discuss more than one game when relevant). In addition to the master database, the DVD has a supplemental database with over twelve hundred games. In this DVD, Collins uses the open c file, the e5 pawn ,and the white d4 pawn vs black pawns on d5 and e6 as three key “terrain” elements to build the strategic and tactic framework to study the French Advance structure. The Open C file plays a significant role in the French structure as a route to simplify and get a draw or as a way to penetrate the enemy camp and win the game. The rating difference, the tournament situation and the fighting spirits of the players determines how the c file will be use in a chess game with a French advance structure. If the rating difference between the players is substantial, a lower rated player with white may use the c file to force simplifications and “kill the game”. A similar situation arises at important team competitions such as the Bundesliga or the Olympiad. In a chess team match between players with similar ratings a player with Black can use the c file to force simplifications or to reach an opposite color bishop endgame like in the game Adams (2722) – Laznicka, V (2683), Istanbul OL 2012. Finally, if both players are in combative mood, both, will fight for the control of the c file to penetrate the enemy position and win the game. Two example of aggressive use of the c file are Sargissian, – Yu, Yang and Kogan, A – Tiviakov, S, Politiken 2001. Collins elaborates in the plans/tactics to use the c file to secure a valuable draw or to bring home the full point. The e5 pawn grants white a space advantage in the French advance structure and to a great extent influences the plans available to white in the middle and endgame. Collins show how the material balance, pawn breaks and trades are handle to obtain the maximum clamping effect on black’s position with a white pawn on e5. It is important to highlight how Collins relates piece trades on the g6 square and the following pawn recapture to the flexibility of black kingside pawn structure. Collins explains the best plans available to the first player to take advantage of black stiff kingside structure after black cripples himself with a “bad trade” on g6. The author also suggest what type of position, pawn breaks and endgames black should be aiming for attenuate the strength of the White pawn on e5. Black show be aware of his space limitations and that well timed exchanges will maintain he balance deep into the endgame. The white d4 pawn vs blacks pawns on d5 and e6 is a structure analyzed in great detail in this DVD. Collins elaborate on the dynamic versus static nature of black and white position respectively, the relationship between black e6 pawn and light square bishop, the bishop versus knight battle, and the subtle connection between the f5 pawn break and the presence/absence of black “bad” bishop. The structure d4 vs e6-d5 arises, normally from the French Tarrash variation, after black plays the c5 and f6 pawn breaks. As a consequence of the pawn breaks black light square bishop become bad, a factor that creates a major strategic imbalance. White has more space and a good light square bishop, but black is active and his major pieces aim at white’s king. How white and black must proceed to increase their positional assets and neutralize the opponent’s advantage? Collins states that black should play dynamically and white needs to aim to a static middle game or endgame to highlight black positional weaknesses. A second feature discussed by the author is the role of black light square bishop defending the e6 pawn, “bad bishops defend good pawns” and how the lack of this bishop may fatally weaken the e6 pawn. In the same line of thought Collins points out that if black is not able to provide support for his e6 pawn this may hinder black standard f6 pawn break. What I like about this DVD? The cohesion of the material. The games selected by the author highlights two or three positional elements, and the tactics are clearly flowing from a “rational chess position”. This make the games instructive for class payers. The author introduces advance positional concepts in a systematic way. For example, black can use the c file to exchange pieces and get a draw (simple concept) or to create a material imbalance (advance concept) to reduce white winning chances. The way Collins selected and presented the games allows class players to increase their positional understanding in a methodical form. How Collins relates positional elements in the French advance structure with the consequences in the course of a chess game. For example, a solid pawn structure tames the strength of the bishop pair without risk. In contrast, spending time to trade a bad bishop can give the opponent an initiative that wins the game. Collins points out to the audience other chess players and other authors and sources to keep learning the French advance structure. What I feel was missing from the material? I believe that the audience can benefit for in inclusion of two classic games in clip 16 and for a longer, summary type conclusion clip. In the clip number 16 Collins discusses the game Matlakov – Popov, Russia 2012 with attention to black defensive maneuver 23…Qe8 and a later f5 against white’s Qh5 threat. This defensive idea was created by the German player Wolfgang Uhlmann between 1971 and 1972. The Qe8 and f5 push was conceived by Uhlmann after his lost to Bronstein (Bronstein- Uhlmann, Moscow, 1971) and execute in the game Browne- Uhlmann, Amsterdam 1972.Uhlmann cited the first game and annotated the second game in his classic book Winning with the French (published in Germany in 1991 by Thomas Beyer Verlags and later translated to English by Basfort in 1995).The conclusion clip was too short. The audience will profit from a good summary at the end of the DVD. I think that Collins missed the opportunity to finish the DVD strong. Who will benefit from this book in my opinion? Players with use/face the Slav, Caro Kan, French, Catalan, Queens Indian and Sicilian Moscow variation. Players in transition from the French to the Caro Kan. Eugene Bareev’s game are a good complement to the material in this DVD. Advance players looking for a well selected master database on the Advance French structure. This DVD is a great addition to the Know the Terrain series by IM Sam Collins. Recommended! Review 2 Attacking with the Benko Gambit Vol 2 Attacking with the Benko Gambit Volume 2 by GM Alejandro Ramirez covers all White major sidelines against the Benko, such as the Tompowsky, Veresov, Colle, Zukertort, English and the 1.d4 Nf6 2.Nf3 c5 3.d5 line This DVD completes the series on the Benko Gambit and provides the black player with a sound repertoire to play the Benko against d4. Ramirez explains the early traps and move orders that can be problematic for black when dealing with the anti Benko sidelines. This is important at club level for two reasons. First, most white club players use a sideline expecting black to fall in one of many opening traps. If Black does his homework, white will face a difficult game out of the opening when “no tricks are remaining in his bag”. Second, white can use move orders to trick black into unfavorable positions or away from their repertoires. The DVD is structured around fifteen model games and nine theoretical sections. This is different from the previous DVD that combined the theoretical discussion and the model games. The games are explained around the suggested repertoire ideas and positional themes such as the bishop pair (dominant positional feature in this DVD), transpositions to favorable pawn structures (Benoni, Hedgehog, IQP or Maroczy bind) and playing around a dominant white knight on c4. 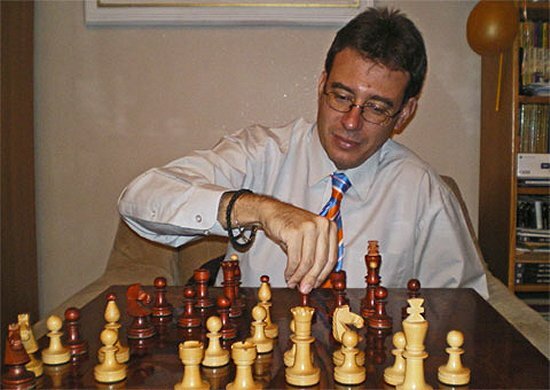 It is instructive how Ramirez explains that Black can tolerate a white knight on c4 if the rest of the white pieces cannot participate in the attack against d6.Many club players believe that in Benoni type structures white is winning as soon as a white knight lands on c4, Ramirez shows that things are not that simple and that if black plays with energy the knight on c4 is just a visually attractive piece. Out of all side lines the Trompowsky, the 1.d4 Nf6 2.Nf3 c5 3.d5 line and the English are discussed in great detail by the author. The three main premises against the Trompowsky are to deny the white player option to lure the Benko player away from familiar structures, prevent white from building a strong center, and finally, control white’s possibilities to sacrifice pawns and obtain active play before black deploy his pieces. If White decides to sacrifice material like in the game Stefanova – Mamedyarov Corus 2005, the solid system recommend by Ramirez will diffuse White initiative and consolidate the extra pawns. Ramirez also makes a good discussion about the dynamic differences between c5 and e6 systems by Black against the Trompowsky. The 1.d4 Nf6 2.Nf3 line is one of white clever move orders against the Indian defenses. Ramirez explains the pros and cons of this line against the Gruenfeld and Kings Indian but the emphasis is on what choice is better for a Gambit Benko player. The author recommends 2…c5 in the spirit of the Benko gambit and after 3.d5 the follow up is 4…b5 reaching a position that needs to be handle with care after 5.Bg5. The reaming part of this section covers black’s ideas after 5…Qb6 and the implications of keeping the queen on the kingside (it will be a target to the pawn push e4-e5) or queenside. It is important to mention that Ramirez does not recommend an early Ne4 by black because his results in this variations are mix. After Ramirez’s statement I was curious about how difficult are the Ne4 resulting positions to the second player? The answer is that the positions are so difficult that a 2650 player (Edouard, Romain) playing at the Olympiad (2012) against a 2283 player was losing the game out of the opening! In Romain’s own words from his excellent book The Chess Manual of Avoidable Mistakes (Thinkers Publishing 2014, page 43 after move 16…Bb7) “Until now, the short summary of the game is that I have been completely crushed by my opponent”. Later, a miracle happen and the game ended in a draw. In other words, keep the author’s recommendations in mind if you decide to play the sharp Ne4 lines against white 1.d4 Nf6 2.Nf3 c5 3.d5 set up. The chapters on the English are very impressive. The author provides black with several choices against the English, cunning move orders and couple of theoretical novelties. One of the suggested novelties from the stem game Salgado- Karjakin European Championship 2011 is 19…Bd5 “with the idea to prevent a sacrifice on e6” .The sacrifice idea on e6 was not obvious to me so I decided to run my Komodo 8 engine to clarify Ramirez’s idea. Turns out that the resulting positions are clearly in black favor after 19…Rc1. Ramirez 19… Bd5 (came in second place). I asked myself the question what move has a better practical value? The computer generated Rc1 or the human generated Bd5? I run the Chessbase online database expecting at least one game with either 19…Rc1 or 19…Bd5. Unfortunately, the search yielded a negative result. I decided to refine the search with similar position plus Karjakin as black and the game Caruana (2791) versus Karjaking (2771), Dubai 2014 appeared on my screen. To my surprise, Ramirez’s expected piece sacrifice on e6 (and the reason behind 19…Bd5) was played by Caruana one year after this DVD was released. This exercise shows that Ramirez’s understands the positions under discussion at a very high level (2800 ELO) and that in some cases human generated ideas/moves have a more wide application than computer concrete variations/suggestions. Players looking to fight the Anti – Benko set ups with variations that retain Benko type structure and dynamics. Any player that answer 1.d4 with Nf6 and struggles against the “Anti Indians”. Nimzo Indian and Gruenfeld players have to be willing to learn structures outside their comfort zone. Players interested in model games with the Bishop pair as driving strategic motif. In the author own words, this DVD shows his personal feeling about the Leningrad with emphasis on the pawn structures and the fighting nature of this opening. The last statement shows a parallel with Reuben Fine’s suggestions on how to evaluation/analyze chess positions out of the opening “The evaluation of a position out of the opening involves five factors, material, pawn structure, mobility, king safety, and combination. In most openings (except gambits) only pawn structure and mobility are only important (The Ideas behind the Chess Openings Third Edition, page 4).In my opinion, Marin uses Fine’s recommendation to understand the positions resulting from the Leningrad, but adds modern elements such as pawn tension and the static versus dynamic evaluation to make the material more comprehensive to players just above the 1800 rating. The main virtues I founded on this DVD are first, Marin’s ability to explain the Leningrad compared to the Kings Indian defense according to pawn structures and transpositions. Second, the relationship between the style of some Leningrad players and the typical methods the use to win and finally, how black can win with the Dutch Leningrad attacking on the Queenside in addition to the standard kingside slaughter. In many circles the Dutch is considered as an improved Kings Indian. Marin shows when black reaches a favorable or unfavorable transposition to the Kings Indian with a series of instructive games. During the presentation the author also points out some technical patterns in the games of diehard Leningrad players like Malaniuk. Marin notice that in some of his game Malaniuk plays to create weaknesses in white’s queenside and then proceed to exploit them with a series of standard maneuvers. The last statement was an eye opener for this reviewer (after watching the DVD I won my first game in the black side of a Leningrad by promoting my queenside pawns, instead of the do or die kingside attacks. What will the potential buyer learn after watching this DVD and solve the training positions? The type of pawn structure to avoid as black or to aim as white, including the creation of pawn majorities on the flanks. The piece combinations that works best with a particular pawn structure. In other words, what pieces black/white has to keep or exchange to enhance the benefits of his pawn. This particular piece of advice will wins games for either side. How to conduct a dynamic versus static evaluation as soon as the opening stage ends. The transposition from the Dutch to the Kings Indian that are favorable for black or white. When a typical plan in the Kings Indian does not work in the Dutch. When to take on an isolani on e5 or hanging pawns as Black. How to build a space advantage in the Leningrad Dutch. How to develop a sense for strategic risk as a Leningrad player. How to play the Leningrad according to the plans dictated by the pawn structure instead of move by move and depending on strong calculating power. A summary of key games and evaluations published on the Leningrad from the past years. For instance, the Nc6 variation illustrated by the game Keres – Kortchnnoi, URRS Champ 1952 was analyzed in Gurevich’s monograph on the Dutch (Chess Informant,1994 page 106) with only two and half moves and a +/- evaluation at the end. Marin goes above Gurevich’s evaluation in a more didactic manner with words instead of symbols. The target audience for this DVD is 1800 and up, new comers to the Leningrad will benefit from less demanding material such as Martin’s DVD’s on the Dutch released by Chessbase some years ago. In summary, this effort by Marin is a great addition to the current materials on the Leningrad. Recommended! 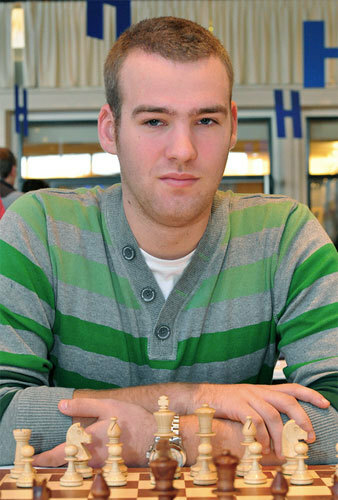 Robert Ris is an International Master from the Netherlands and author of the Tactic Toolbox Semi-Slav with 5.Bg5 DVD from ChessBase. Ris’s work on the Semi-Slav 5.Bg5 fills a major gap in chess training materials because previous efforts on the Semi-Slav with 5.Bg5 aimed only to update and summarize current state theory on this opening complex. In this DVD Ris shows the tactical patterns that are essential to play and understand the Semi-Slav with 5.Bg5, helps the audience to hone their tactical skills. More importantly, the examples selected by Ris help players above 1800 (USCF) to develop a sense for the forcing nature of typical Semi Slav middle games. The potential buyer should not expect a detailed coverage of trendy lines in this DVD, although, two games in the DVD are part of the chapter on the Moscow variation of Chess Developments the Semi-Slav by Brian Paulsen (2013). The games are Ernst- Smeet 2010 (page 111 in Brian’s book) and Shimano- Motylev (page 120). It is important to mention that Ris covers the Meran with 5.e3 instead of Bg5 in a different DVD. This DVD is divided in four parts, starting with the sharpest variation, The Botvinnik, 1.d4 d5 2.c4 c6 3.Nf3 Nf6 4.Nc3 e6 5.Bg5 dxc4 (10 games) followed by the Moscow, 5.Bg5 h6 6.Bxf6 (7 games), the Anti- Moscow variation, 5.Bg5 h6 6.Bh4 (7 games) and ending with the Cambridge Spring (3 games). Most of the games in this DVD involve a battle between strong grandmasters which significantly increases the complexity of the games and the degree of difficulty to find the moves by the audience. In consequence, players watching the material need to be ready to work hard to get the most out of this material. The DVD has a supplemental database with fifty nine model games on the Semi-Slav with Bg5. The average ELO rating for white is 2630 and for black 2599. The Semi Slav is an interesting and complex opening for White and Black that offers winning chances due to the unbalance nature of its typical middle games. The Semi Slav complexity comes from the blend of fourth different factors. First, both armies reach the middle game with a lot of pieces on the board. Second, the Semi Slav pawn structures are complex. Third, the Semi Slav has a large body of theory developed over the years of grandmaster praxis and finally, the concrete nature of the resulting opening positions require knowledge and a sharp tactical eye to successfully navigate the middle game. If you want to efficiently study the Semi-Slav you must start with understanding the tactics behind the variations before learning move sequences. This work has to be done regardless of your playing strength. In my opinion, Robert Ris selected the right examples to speed up viewer’s tactical proficiency to tackle Semi-Slav with 5.Bg5 positions. In the DVD the author covers the basics features of the variation, a brief historical comment of how the variation has evolved over time, what players are good role models to follow and then proceeds to test the audience with a series of questions steaming from a grandmaster game. The author does a great job at choosing the right grandmaster games and the moment to stop the game and test the student about the position on the screen. The audience have the chance to get feedback after playing the move if the move belong to the “reasonable candidate pool”. The feedback in itself is not new to the Chessbase DVD series. I found at least two valuable features in this DVD. First, Ris explains the virtues or deficiency of a given move according to over the board practical chances instead of a string of computer variations. Second, all the exercises have “natural” solution that are actually wrong, so the audience has to work outside of our positional comfort zone. Ris’s feedback does not come from a chess engine it comes from his experience as a tournament player, For example, in one of the clips, two solutions have the same evaluation according to my chess engine Komodo 8. One solution is supported by Ris and the other is not. Ris explains why his proposed solution is better in term of practical chances. The move supported by the human clarifies the position and make it “winnable” in a clear cut fashion. In contrast, the engine solution keeps the complications on as well as the chances to make a tactical blunder and lose the advantage or even the game. About the “natural “moves that are actually wrong. I remember a position in which the move Nd7 seems to solve all black problems. The move feels right, but after you hit the solution bottom you get a comment along the lines of” yes, Nd7 is such a natural, positional move, but the concrete nature of the position requires more forcing play”. Next you watch how black crushes Nd7 with plain and direct tactical play. How to use this DVD? First, set aside a quality chunk of time to work on this DVD. You need a clear head to tackle every single position because very few exercises con be solve with “natural” moves. As mentioned before most of the exercises require the calculation of complicated middle game positions and “natural” moves do not fit the bill. Next, get a piece of paper and write down all your candidate move along with the corresponding variations. Finally, compare your answer to Ris’s answer and think about the reason why you missed or find it the right answer. After working on this DVD I realized that in some position I was able to find the answer without too much effort. Then it hit me that most of the positions I scored highly were from Isolated Queen positions (IQP) that I previously study in Collin’s Chessbase DVD Know the Terrain Volume 6. In contrast, the position that I scored poorly were unfamiliar to me and have a high degree of “concreteness”. In other words, calculation shortcuts such as I check and king moves somewhere and then… do not work in these positions. After every move you need a clear picture of what the differences are if after the check the king goes to e8 or d8. What you get after working through The Tactic Toolbox Semi-Slav with 5.Bg5? A realistic idea about your tactical skill handling sharp Semi Slav positions. A better sense of when forcing a repetition is the only viable option in some challenging positions.In Summary, Robert Ris’s The Tactic Toolbox Semi-Slav with 5.Bg5 is well research, organized and presented. This DVD that makes a significant contribution to current training materials on the Semi Slav Complex. Recommended! The central pawn majority is a key structure in contemporary chess because its association with openings contested at high levels. The central pawn majority is reached via the Exchange variation of the Gruenfeld defense (matches Karpov-Kasparov), the Queens Indian Petrossian variation (popularized by Kasparov) or the Semi Tarrasch among other openings. At club level, players interested in taking either color of any opening that creates a central pawn majority for white (e4-d4 vs black e pawn) opposed by a black queenside pawn majority (a7 and b7 versus white a pawn) will benefit from learning the thematic plans associated with this pawn distribution , instead of memorizing reams of theory. In this DVD, International Master Sam Collins explains the different plans associated with the central pawn majority, but more importantly, the author presents the material in a structured and comprehensive way. Collins starts the discussion of the central pawn majority with the sharp tactical ideas first, followed by kingside attack plans. Later, the author moves to the plans linked with queenside such as the minority attack and the c4 out post. Toward the middle of the presentation, Collins describe the role of the passed d pawn originated from a central pawn majority and the possibility for black to create a blockade against white passer. Finally, Collins closes the DVD with examples of how to play an endgame born from a central pawn majority. The central pawn majority offers white two options to conduct the middle game. White can use his central pawn dominance to play aggressively out of the opening or play to methodically build a kingside attack. The first alternative may requires a double pawn sacrifice to rip open black defenses, like in the game Kasparov – Najdorf 1982. White can also opt for a systematic deployment of his forces behind the central pawn majority and launch a vicious kingside attack. The game Radajbov- Van Wely FIDE Cup 2005 is a good example. At this point Collins explains the role of centralization before moving forward against the black king. Failure to keep this recommendation in mind makes black defensive task easy and white’s attack may backfire as in Granda versus Ivanchuck, Barcelona 2006. Collins also shows what piece configurations make black more susceptible to the double pawn sacrifice, especially blacks development of his queenside knight. Collins covers the queenside plans related with the central pawn majority such as the minority attack and the use of the c4 outpost by black. The minority attack creates active play for white on the queenside without raising the level of sharpness of the middle game. Similar to the Sicilian defense, the minority attack in the central pawn majority is a dangerous weapon when combined with control of the c file. Collins illustrates how white achieves dominance of the c file by exerting pressure on black b pawn. Black plays b6 to alleviate the pressure on b7, but surrender the a6 square to a light square bishop. After white gains control of c8 the fight for the c file is practically over. The DVD also covers to a great extent the features of the passed d pawn originated from a central pawn majority. I was happy to see several games by Vladimir Kramnik as model on how to handle the pass d pawn in the middle game. Kramnik’s games alone are worth the price of this DVD. The game Kramnik – Svidler Dortmund 1998 is a great example of a strong center versus dynamic play. At the end of a fine battle, White’s central pawns reach e7 and d7 making a powerful impression on the audience. Collins also shows the subtle, less “violent” features of a passed d pawn. A passed d pawn offer control of key squares in Black’s territory in addition to the pawn intrinsic ‘steam roller” potential. For example, a blocked d pawn still dangerous because white can use the c6 square controlled by this pawn as a powerful outpost deep in black’s camp as in the game Yusupov – Ribli , Candidates 1985. Collins closes the DVD with a discussion of several endgames and the role of the blockade against White’s d pawn. It is worth to mention how Collins takes the idea of blockade in this structure to a different level. The author explains the tactical resources and strategic ideas to prevent or make a blockade on d6 useless. In the model games, Collins shows how in between moves are used by the first player to prevent a blockade on d6 as well as taking advantage of the c6 outpost to “bypass the blockade”. After watching the videos and going over the games it is clear to me that Collins put a lot of work on this DVD. Collins selects and organize thirty four games (thirty six, if you consider that games 26 and 30 includes a fragment of Ftacnik-Babula and Tatai-Ftacnik 2001) to build his discussion of the central pawn majority structure. The games are presented as a well elaborated story on the plans and ideas in the central pawn majority structure. My only observation from this DVD is with Collins’s statement in the game Hertneck- Kasparov 1994.The games starts 1.d4 Nf6 2. C4 g6 3.Nc3 d5 4.cxd Nxd5 5.e4 Nxc3 6.bxc Bg7 7.Nf3 c5 8.Rb1 0-0 9.Be2 cxd 10cxd Qa5+ 11. Qd2 Qxd2 12.Bd2 b6 13.d5 Collins states that he is not a huge fan of advancing d5, instead he prefers to keep the pawn on e4 and d4 retaining flexibility. If you are below IM level this advised is valid as supported by Edward Dearing in Challenging the Gruenfeld page 10 “ In the past 11.Qd2 has enjoyed brief spells of popularity because the endgame after Qxd2 12.Bxd2 was thought to hold some dangers for Black. Nowadays Black’s handling of this system has been refined to the point where White has little (if any) hope for an advantage, and consequently 11.Qd2 has fallen into widespread disuse at MI and GM level”. I believe that 13.d5 gives white practical chances below IM level for two reasons. First, it is White who decides the type of position he wants to play. It is a matter of choice. This opinion is also expressed by Suetin in the Complete Gruenfeld 1991 page 96” After 10…Qa5 white can now choose between the calm transition to and endgame or a sharp pawn sacrifice” Suetin evaluates 13.d5 as !?. Second, below master level Black needs the endgame technique and tactical skill of an IM to keep the balance in this endgame. The game Aring, G – Offinger, Robert Oberlinga 1999 (1-0) is a good example of White practical chances against a higher rated opponent in an open tournament. A quick search on big database 2014 will provide the curious student with some model games on 13.d5. To Collins defense, Vigorito (In chess Developments the Gruenfeld page182) considers the lines after 11. Qd2 Qxd2 12.Bd2 and said “Black should not have any problems here, but he shoud not take this line too lightly either and cited Radajabov- Caruana, Moscow 2012. In summary, the author creates a well craft story on the plans and ideas in the central pawn majority structure. This DVD by Collins is high quality and recommended to any chess player interested in how to conduct the middle game with a central pawn majority. The models games in this DVD display a sophisticate degree of connection that makes easier to the audience (1600 and up) to learn and retain the information presented by the author. Fritz 15 interface is easy to navigate and the online apps are very intuitive. In other words, Fritz 15 is plug and play. After a few minutes browsing the user can start using Fritz 15 analysis tabs. 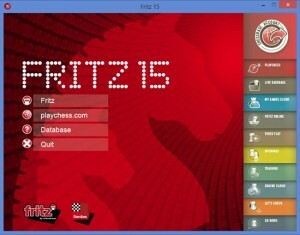 For training purposes, an user can analyze a chess game with Fritz 15 ( after going over the game alone) and find missing opportunities or confirm his/her own ideas. This process can be execute in wide range of time from 10 minute to couple of hours depending on the user needs. For example, analyzing a chess games in a tournament does not allow using the program for hours after hours. The user can get a better insight from Fritz 15 if the chess game is analise quickly and the major mistakes pointed out before the next round. It is important to mention that Fritz 15 supports Monte Carlo Analysis. In contrast the free engine Stockfish 6 does not support Montecarlo analysis. The main discovery I made while reviewing Fritz 15 was the fact that you can analyze a chess position with the engine match function. Yes, nothing new here, but I tried to guess the move one of the engines as the game was on (Blitz). Now I use engine matches as part of my daily chess training routine. In fact, playing “ fast pace solitarie chess (FPSC)” with engines is a training method I never hear before. 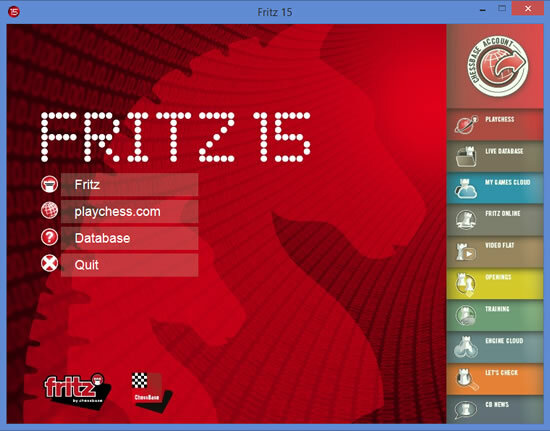 Are you willing to sharpen your tactics by playing FPSC with Frit 15 and the built in engine Fritz 11S (by Frans Morsch). Fritz 15 is recommended without hesitation! 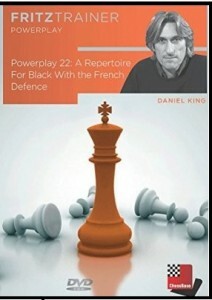 Grandmaster Daniel King offers a Repertoire for Black based on the French defense. The corner stone of this repertoire is flexibility and surprise. The author tailors the repertoire to different type of players, aggressive or more conservative(flexibility). For example if Black do not want to enter the complications of the Classical defense, King suggests the Rubinstein Variation as a more solid choice. A player interested in surprise his opponents may just use one of the recommendations like 3. c5 versus the Tarrash instead of his usual 3.Nf3 (surprise). Adopting a system overnight is easy because king teaches the variation through model games. Model games are easy to remember and contain the main tactical and strategic features of the variation at hand.The suggested repertoire is covered in ten model games and supplemented with fifty six games. The model games are clear and fancy tactics are uncommon. Instead, King selects game that teach a tactical or technical skill required to successfully play a particular variation such as the right pawn break or piece exchange. The author also explain the historical evolution of a variation like the Winawer. king explains the historic context that brought the Winawer to the spot light in the late 20’s. As usual the viewer is tested along the presentations with several questions to help to absorb and understand the variation under discussion. The supplemental database is organized by ECO code and offers a diverse array of games and players. Experts with the Black pieces such as Korchonnoi have a big share of the database. More importantly, the games are not selected because of its spectacular or decisive outcome, but because of its didactic value. For instance, the illustrative game between Mkrtchian and Danelian, 2013 ended in a draw but the battle was thematic and intense. Finally, King surprise us with an uncommon game by Brazilian Tactical wizard ta Enrique Mecking playing a close position in the best of ‘Karpov” style (Cuartas – Mecking, 1970. In summary, King puts together a versatile repertoire for black that will keep your regular opponents off balance. recommended! 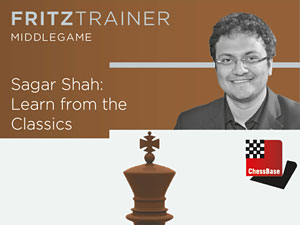 This week I am going to review the chess DVD Learn from the Classics by IM Sagar Shah. I requested this DVD to the publisher because working on classic chess games from the masters is an old time recipe for success in chess. The main premise from the author is that working on games from master will help you to absorb and understand three aspects of chess. First, master games show the student enthusiast middlegame ideas and patterns particular theme to win games. Second, the study of any opening is more efficient when a series of master games is used to learn the evolution of a particular variation or sequences of moves. For instance a world championship match where an opening is played several times at a high level. Finally, games coming from important tournaments can be use to play solitaire chess and figure it out the difference between your chess thinking process and the thinking process of a master. The author mention how to play solitaire chess with the help of a database like Megabase 2016 and use training mode. I will add that a strong engine like Fritz 15 is required along the database to evaluate your moves and give you a numeric score. The first part of the DVD covers the middlegame through the use of master games. I notice that the author has a preference for games that illustrates pawn maneuvres in a similar style than Nimzovich or Kmoch (sealer sweeper pawn sacrifice idea). To work on the middlegame themes in this DVD Shah explains one or two uncommon middlegame ideas from a master game followed by a game from his own practice that illustrates how to use the idea(s) under discussion.The games selected by the author support the main premise and are easy to follow. As a presenter IM Sagar Shah does a good job presenting the material, and I expect his skills as a presenter will evolve with time in a similar fashion that Sam Collin’s. In summary, the DVD and Shah are good additions to the pool of Chessbase’s products and authors respectively. Recommended!